It’s not often I fish with anglers who coordinate their clothing with their quarry. 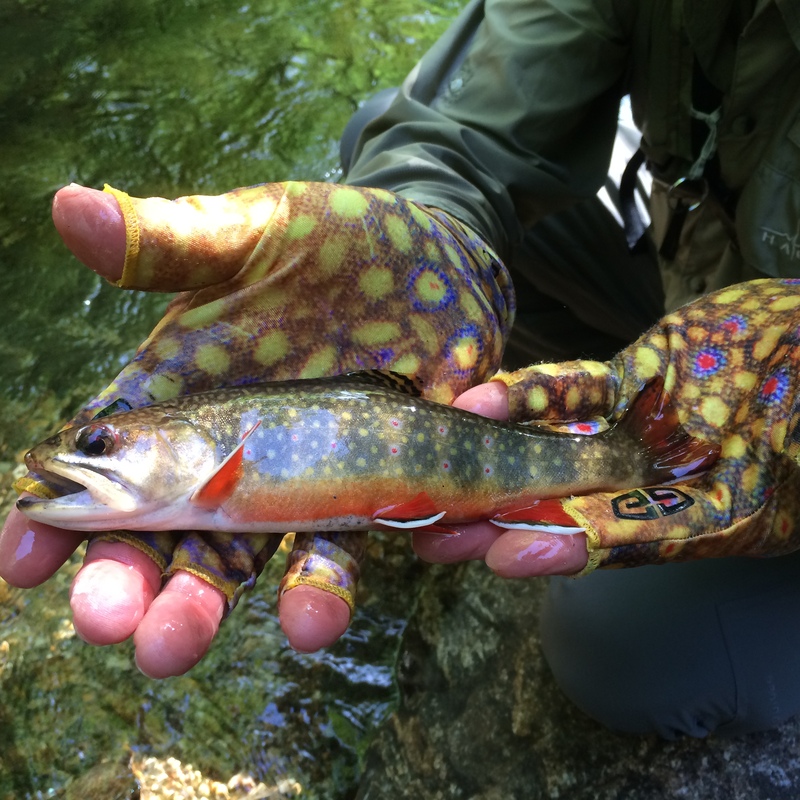 Yesterday was an exception, however, when I looked at this photo and realized that my partner’s gloves were actually a Brook trout pattern. It’s a good thing we were fishing high water and didn’t catch any fish that we didn’t have the gloves to match!